The only place to be on Saturday night, if you love eurovision, was the Scala in London, which played host to the Eurovision Winners Party. Brought to the pubilc by the same team who hosted the preview Party, the winners party was a night to remember. Eurovision fans came out in force to see their favourite acts perform and to see the runner up and winner from this years competition. The scala was heaving with fans! 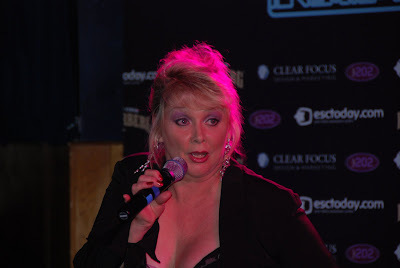 Nicki French was the host for the evening as Paddy O'Connell couldn't make it and what a host she was! Nicki opened procedings with a Eurovision type medley singing 'Beg, steal or borrow' and 'Boom Bang-A-Bang' which was very well received. 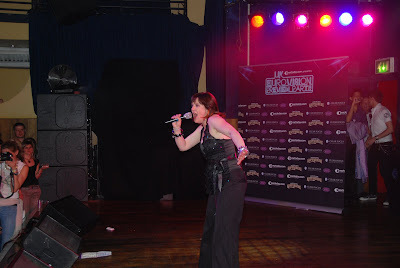 Nicki introduced the first act, which was Sonia. 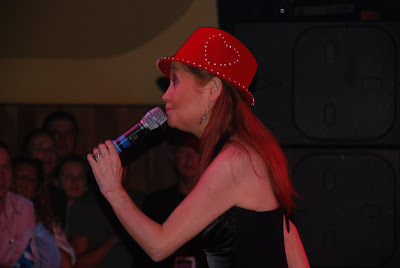 Sonia, looking very thin, wore a black number and a red hat, she got the crowd going to her huge hit 'You'll Never Stop Me From Loving You' and her eurovision runner up 'Better The Devil You Know'. 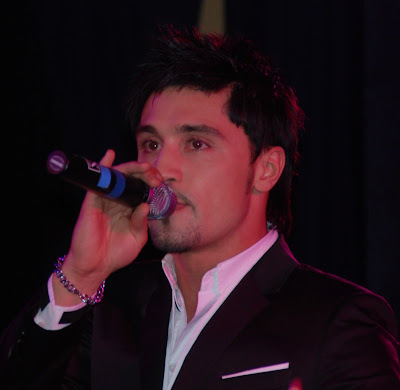 Sonia was in great voice and so were the audience who faithully sang along with every word, except the for the Russian contingent, who looked bored rigid as all they were interested in was Dima Bilan. 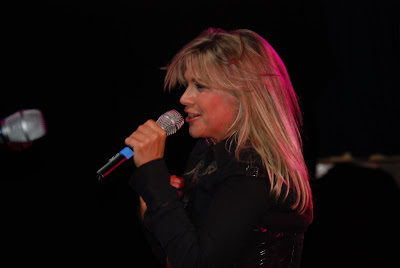 Sonia told the Schlager Systems, when we were chatting that she is so proud to have been part of Eurovision and that see is constantly singing, sh'e in demand all lover the world and that she has never been so busy! 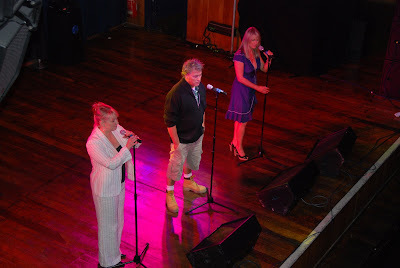 Next up was 'The Original Bucks Fizz' , so called, as Cheryl Baker explained that the couldn't use the name Bucks Fizz for legal reasons. The band sang hit after hit, 'Land of make Believe', 'I Hear Talk', 'New Beginning' and of course 'Makin' Your Mind Up' to name a few. 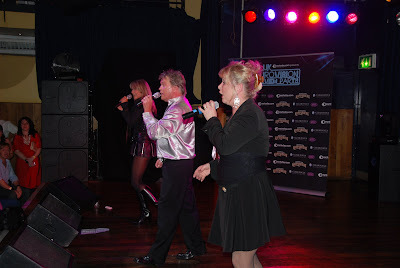 The audience were truely loving this appearance by the Fizz. Later we got the chance to tell Cheryl how great we thought the performance was, she thanked us very much and shook our hands! 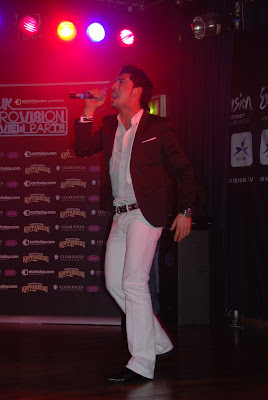 Dima Bilan managed to fly back into London for the performance at the Scala, although very brief appearance. When Nicki introduced him there were a lot of very audible boos from the Brit contingent and screams from the mullet haired Russian crowd. In our opinion the booing was in bad taste, whether you agree that the winning song should have won or not is your opinion, but we felt it a little disrespectful given the occasion. Diva Dima was supposed to perform last, but during the break the running order changed, maybe he didn't like the boos and wanted to leave early, one can only speculate. The Russian girls were going nuts for Dima, trying to grab the legs and clothes of their eastern block idol. 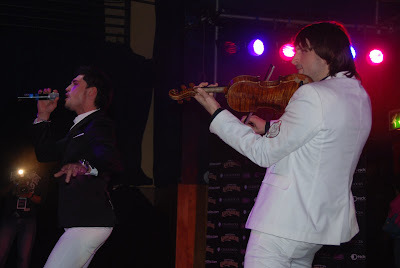 Dima performed again with the violinist from Euro (sans ice skater - thank God) and again he hideously oversang his song 'Believe'. His second track was his last Russian number one in which he oddly began behaving like Michael Jackson, all crotch grabbing and moonwalking, then off he went.. no encore. After the break Nicki came back on to rapturous applause and sang a few numbers including her Eurovision entry 'Don't Play That Song Again' wearing her original coat from her Eurovision performance! She sang to an audience chanting 'Nicki, Nicki' trying to drown out the Russian girlsscreaming 'Dima, Dima'! The final act of the night was the stunning Diva that is Ani Lorak. 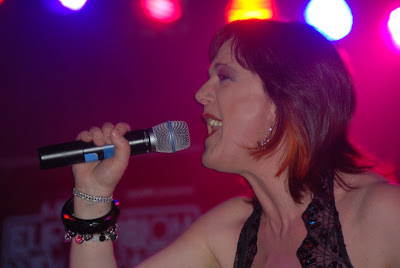 Ani sang Tina Turner's 'The Best', Bon Jovi's 'It's My Life' and ballad from her 2006 english language album. Ani's final song was, inevitably, this years Eurovision Runner Up 'Shady Lady', for the Ukraine. It's worth noting that Nicki French accidentally introduced Ani as this years Eurovision winner (oops)! In a stomping performance with two hot athletic dancers, the diva whipped the crowd into a frenzy, she even came on and did it again for an encore!! Sheer class. Barry Viniker and all at Clear Focus and ESCtoday deserve a special mention for putting together a great show, all their hard work and effort definitely paid off.